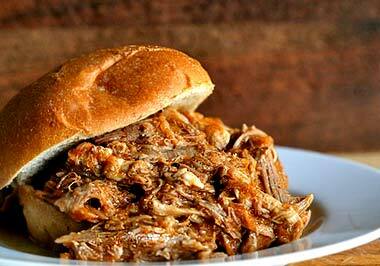 CrockPot Pulled Pork is simple and easy to make with just a few ingredients. 1. Turn CrockPot on High setting. 3. Cover and cook on low for 7-8 hours or 4-5 hours on High setting until meat is cooked through and tender. 4. Remove pork from CrockPot and shred with a fork. Add back into the CrockPot and coat with remaining 1/2 Cup of Barbecue Sauce. Serve pulled pork with hamburger buns, ciabatta bread and sliced pickles. Use Code: 1717200910 with any item and receive a 10% discount. Sign into our site and enter the discount coupon code at checkout and receive your first time buyer discount.